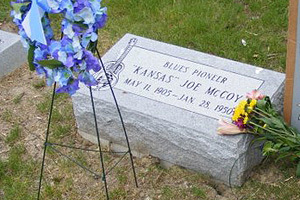 Two handsome granite gravestones have been installed, and a group of music fans dedicated them with an informal ceremony. This concludes the project. Thanks to all who contributed donations, publicity and enthusiasm until it was completed! Support this project by buying a recording or poster from our tribute concert! 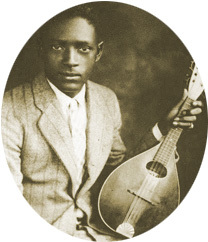 From string band music in Mississippi to country blues in Memphis to jump blues in Chicago, Joe and Charlie McCoy played important roles in several musical genres. 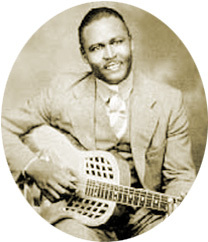 Their careers not only mirrored the "great migration" of African-Americans to the north, but also the development of African-American music from its rural roots to the foundations of rock and roll. 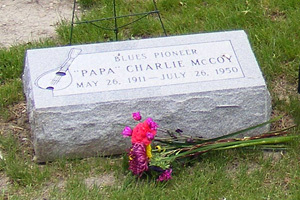 After 20+ year careers, they both died in Chicago in 1950 and were buried in unmarked graves. This project had two goals: to raise awareness of their music and purchase grave markers for both of them. After a few more months of fundraising, two handsome granite monuments were purchased and installed, and were dedicated in an informal ceremony on May 22, 2011. Michelle Weinberg took these photos; you can view more here.